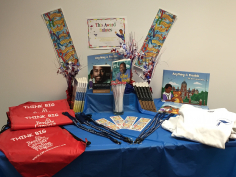 Purchase an Incentive Package for the Ben Carson Reading Room School of your choice. The Incentive Package makes it possible for a Reading Room Coordinator to provide prizes to students for reading more books. The Carson Scholars Fund is a 501(c)3 nonprofit organization. All donations are tax deductible.